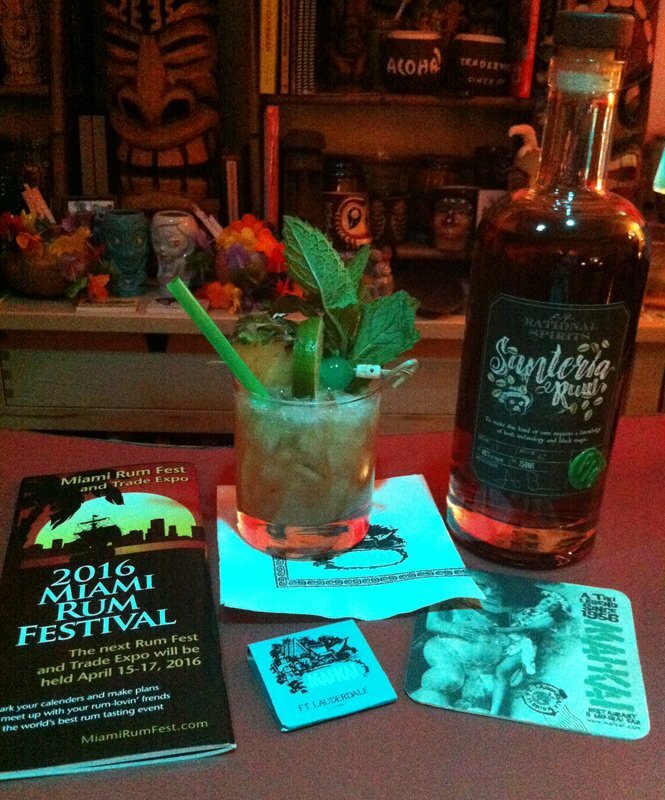 A full recap of the eighth annual Miami Rum Renaissance Festival is coming soon. In the meantime, here are the winners of the annual RumXP Awards announced on Friday, April 15. Also check out our photo gallery on Facebook. Dozens of Miami Rum Festival judges, VIPs and locals flocked to The Mai-Kai in Fort Lauderdale on Tuesday to kick off a long week of “rum is fun” get-togethers. For the members of RumXP: The International Rum Expert Panel, it was a chance to unwind after the first day of blind tastings. For most in attendance, it was an opportunity to reconnect with friends from across the globe. 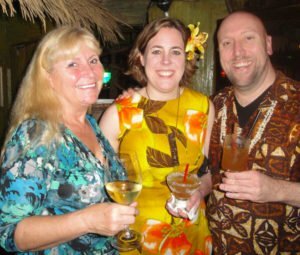 “Tuesday Tiki Night” is a Rum Renaissance Festival tradition as guests gather for dinner and the historic Polynesian restaurant’s Polynesian Islander Revue, the longest-running authentic South Seas stage show in the United States (including Hawaii). Of course, the massive mid-century venue (est. 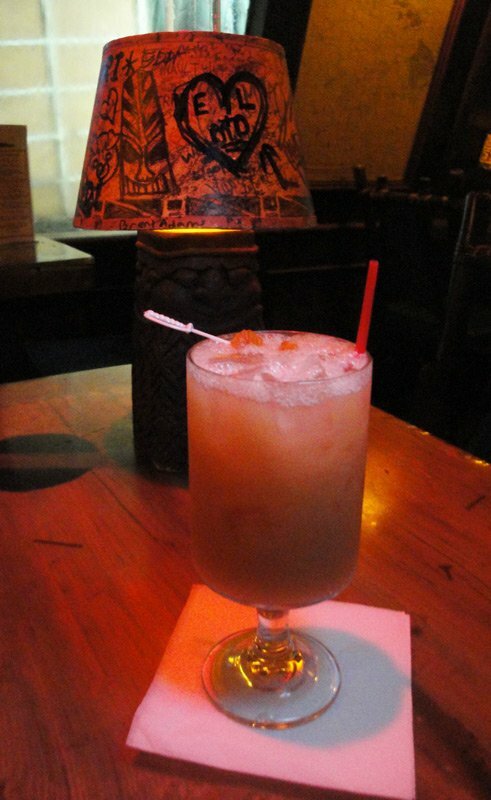 1956) is also home to a wide variety of rums as well as a legendary Tiki cocktail menu. Among those spotted enjoying the festivities were owner Martin Cate and Rebecca Cate from Smuggler’s Cove in San Francisco; owner Suzanne Long from Longitude in Oakland; manager Marie King from Tonga Hut in Los Angeles; master blender Bryan Davis from Lost Spirits Distillery in California; Cocktail Wonk blogger Matt Pietrek from Seattle; Boy Drinks World bitters creator Ram Udwin from San Diego; South Carolina blogger Scott French (aka The Rum Trader); Washington, D.C., author Ian Williams; California industry veteran Forrest Cokely; and many more. Among the notables in attendance from the South Florida rum and Tiki scene were artist N! Satterfield and wife Dee; and FOM members Keith Wright and Lynda Katzen. 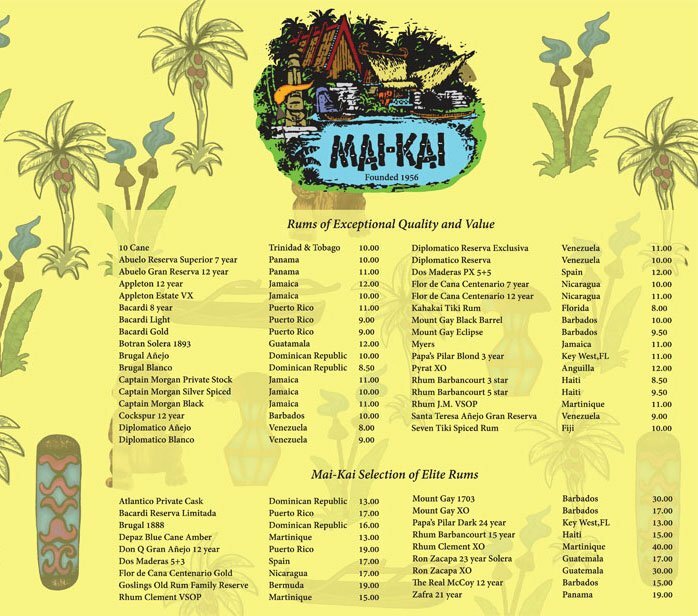 Artist Will Anders, who creates many of The Mai-Kai’s distinctive tikis from historic molds, was at the bar providing updates on his latest projects. Also in attendance was The Hukilau‘s Christie “Tiki Kiliki” White, who caught up with the rum fest crew while on a trip to Fort Lauderdale for meetings and planning work on her upcoming June 8-12 event. Pulse blend with 1 cup of crushed ice and pour into a small rocks glass. Use a tropical garnish of your choice. The Mai-Kai leveraged the talents of its new chef, Mark Rivera, to create an amazing garnish of dehydrated pineapple infused with cinnamon, star anise and other exotic flavors. [See photo] We took a more traditional approach with a mint sprig, lime wheel, pineapple wedge and green cherry. Santero is the name of the priest in the Santeria religion. According to legend, some Santeros have the power to communicate with spirits. The Mai-Kai’s general manager, Kern Mattei, conjured up this complex yet well-balanced cocktail to show off Santeria Rum with some traditional Mai-Kai ingredients (lime, OJ, grapefruit, pimento dram, bitters) and a few new twists (pineapple syrup, ginger syrup). The result is both dry and sweet, the bitters and tart juices balancing the sweet syrups and potent Santeria Rum. The spicy ginger and allspice flavors give it a distinctive taste, while the rum lurks in the background but comes forward as you progress through the drink. For a sweeter and richer flavor, use more ginger and less allspice. Chef Rivera whipped up the pineapple syrup by cooking slices of fresh pineapple with butter and sugar until caramelized, then combining with simple syrup. The butter added a subtle layer of rich flavor. For another recipe and more info on pineapple syrup, check out the Hotel Nacional Special, a previous Cocktail of the Week on The Atomic Grog. 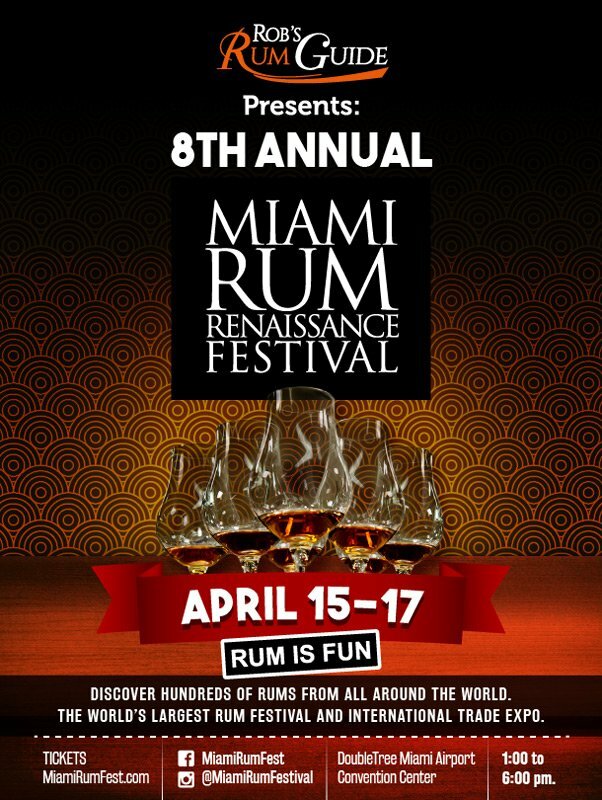 The eighth annual Miami Rum Renaissance Festival comes at a pivotal time for the rum industry. As the popularity of cane spirits continues to surge, new challenges loom on the horizon. Unbridled growth has churned up issues surrounding what some consider secrecy and deception regarding age statements and additives, specifically sugar. Meanwhile, everyone is anxious about the potential opening of the marketplace in Cuba, one of the world’s oldest and most highly regarded rum producers. But while these serious topics will likely be discussed and debated at the April 15-17 event and its surrounding parties, the overarching theme remains simple: “Rum is fun!” Why else would more than 10,000 people flock to the DoubleTree Hilton Miami Airport Convention Center to sample hundreds of products, new and old, while enjoying seminars and special industry events that make this one of the year’s most talked-about spirits festivals. 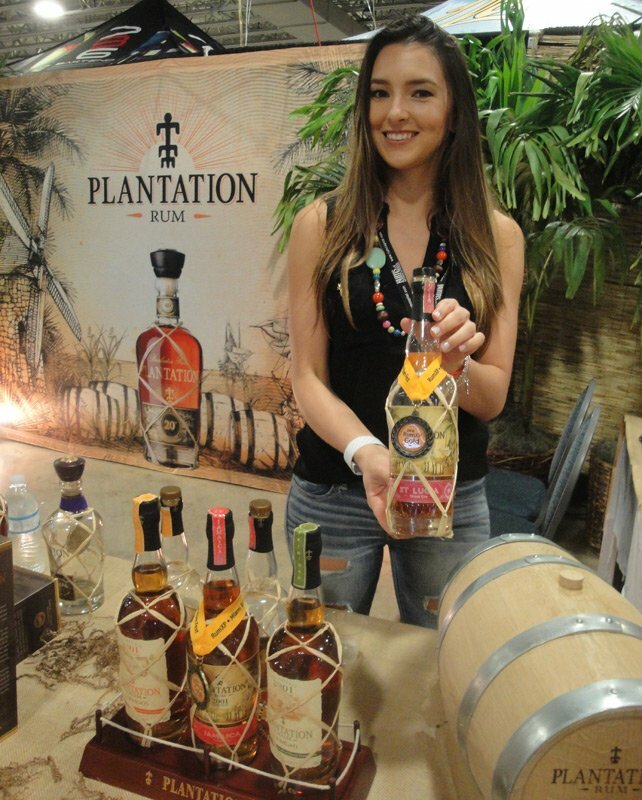 The Miami Rum Festival and International Trade Expo runs from 1 p.m. to 6 p.m. all three days, taking over the 50,000-square-foot exhibition hall as exhibitors show off products from around the world. 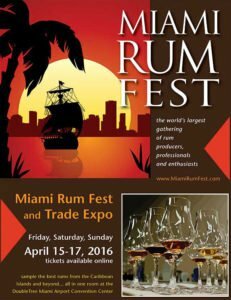 Admission ($75 per day or $125 for a three-day pass) gets you access to the “grand tastings” featuring samples of more than a hundred rums, plus a diverse selection of educational (and entertaining) seminars. If you’re seeking additional fun, there’s also live music and food, plus island lifestyle vendors. Some of the rums to be served in the VIP Tasting Bar at the Miami Rum Renaissance Festival. 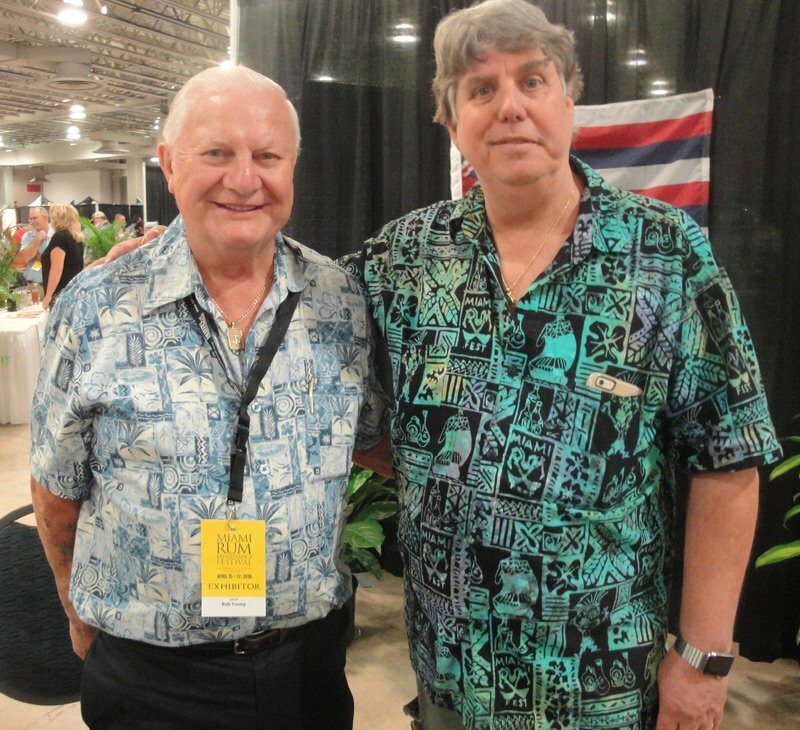 The rum fest is organized by the husband and wife team of Robert A. Burr and Robin V. Burr, plus son Robert V. Burr. 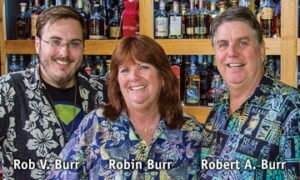 Longtime collectors and enthusiasts, the Burrs are adding something special to this year’s event: A luxury VIP Tasting Bar featuring a special selection of rare, vintage and limited edition products from their expansive collection of more than 2,000 rums. Get a closer look at their home bar in the new Rum Minute online video series. The elder Burr and his son will personally host the tastings. The tasting bar will be open Friday through Sunday during the grand tastings, but samples of these rare rums will cost a little extra (tickets are $5). You get two free tickets when you buy a three-day VIP pass to the festival. The Burrs have teased us with a list of some of the rums that will be available for sampling: Facundo Paraíso and Exquisito, Brugal Siglo de Oro and 1888, Barcelo 30th Anniversary, Abuelo Centuria, Zafra 30 year old, Don Pancho Origenes 30 Year Old Rare Reserve, Barbancourt 150th Anniversary, Mount Gay 1703, Clement XO, Zacapa XO, Opthimus 21 & 25, Appleton 21, Botran Solera 1893, Dictador XO, El Dorado 21, Bacardi Reserva Limitada, Flor de Caña 25 year old, Matusalem 23, H/C Seleccion de Maestros, and more. You can find reviews of many of these on Rob’s Rum Guide and the National Rum Examiner. 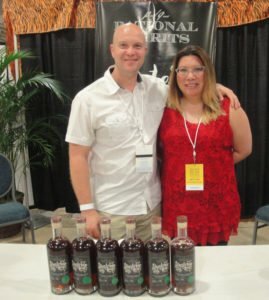 Members of the spirits and beverage trade also get access to a special section of the festival that features exclusive rums for industry and press representatives only. The highlight of the event for many in the industry are the Tuesday through Thursday blind tastings, which culminate in the announcement of the annual RumXP Tasting Competition Awards. The winners will named on the main stage at the conclusion of Friday’s festivities. 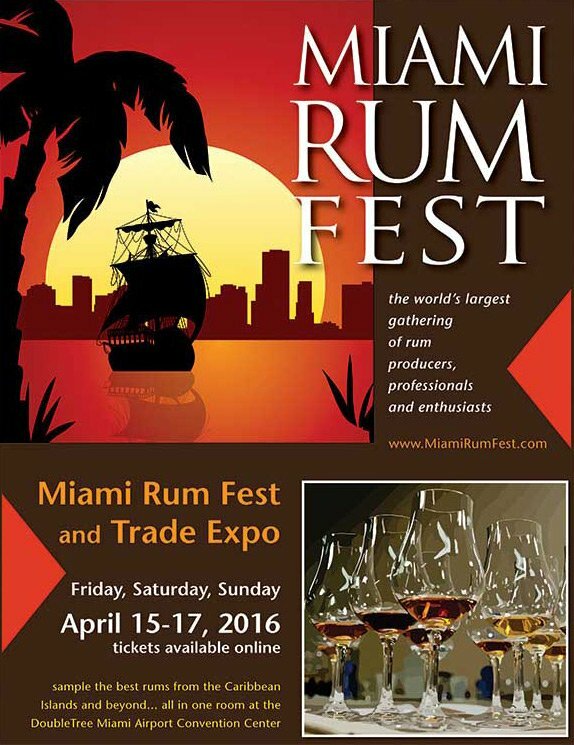 A wide variety of cachaça brands will be available for the first time at the 2016 Miami Rum Festival. 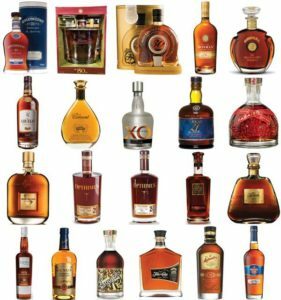 For the general public who don’t partake in the premium samples, there are still more than enough great rum brands to choose from. This year’s lineup includes new rums plus old favorites from across a broad spectrum of styles. Among the new brands we’re most looking forward to sampling (and discussing with representatives) include Bayou, Caliche, Fwaygo, Mezan, Santeria, and Wicked Dolphin. And you can’t forget the old standbys such as Cartavio, Don Q, Koloa, Plantation, and Pusser’s. 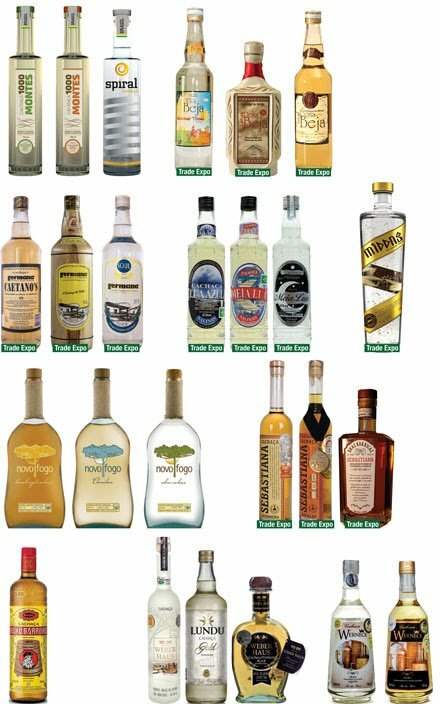 In recognition of the growing evolution of cane spirits, the festival is featuring a large selection of cachaça for the first time. The official spirit of Brazil and backbone of the wildly popular Caipirinha cocktail, cachaça (pronounced kah-SHAH-sah) isn’t typically considered rum. It’s made from fermented and distilled fresh cane juice, not molasses. While most rums are distilled from 85 to 95 percent pure alcohol, cachaça is typically distilled to only 38 to 48 percent, leaving behind more of the natural flavors of cane. 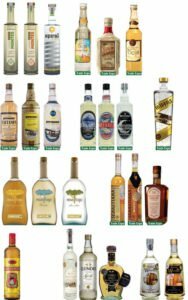 In the United States, cachaça is recognized as a product unique to Brazil, its history dating back to the 16th century. Ten brands from Brazil are planning a rum festival “invasion” in an effort show American rum enthusiasts and professionals what their product is all about. In addition, Carlos Lima, executive director of the Brazilian Institute of Cachaça, will present a seminar on the unique spirit on Saturday and Sunday afternoons at 3. * “Navy Rum: A Category of its Own,” presented by Lars Renbjer, owner of Integrity Spirits and Gunroom Spirits. Get to know and taste the different origins of the Gunroom Navy Rum and learn why rum had to be gunpowder proof in the British Navy. Friday at 2 p.m.
* “Clairin: The Authentic Cane Spirit of Haiti,” presented by Robert V. Burr. Travel through the wilds of Haiti to discover the national treasure of Clairin rum, fermented with fresh cut cane juice and distilled with simple, rustic methods. Friday at 3 p.m.
* “Mezan, A Rare Collection of Vintage Rums,” presented by Warren Bobrow, author and Mezan Rum‘s American brand ambassador. Learn about and taste these unsweetened, uncolored and only lightly filtered rums from Panama, Trinidad and Jamaica. 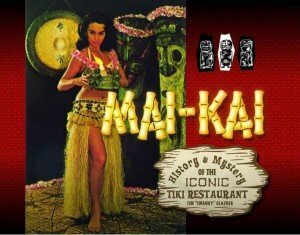 Friday at 4 p.m.
* “Good Drinks – Tiki Drinks, That Is,” presented by the Fraternal Order Of Moai and sponsored by Koloa Rum. Get tips on how to create easy-to-make, delicious and exotic tropical libations in your own home bar. Saturday at 4 p.m.
* “Reál Ingredients,” presented by Isaac Ergas. Learn how to use high-quality fruit purées from this growing brand to create delicious cocktails with easy recipes. Sunday at 2 p.m.
* “Florida Rum Review,” presented by Robert A. Burr. Taste local history with some well-crafted cane spirits produced by small distilleries in the Sunshine State, from Key West to St. Augustine. Sunday at 4 p.m.
And those with a keen interest in the industry and its inner workings might want to check one (or both) of the seminars by Richard Seale, the outspoken master distiller at Foursquare Distillery in Barbados. He’ll be talking about “Rum’s Place in the Spirits World” at 5 p.m. Saturday and giving “A Primer on Distillation” at 5 p.m. Sunday. 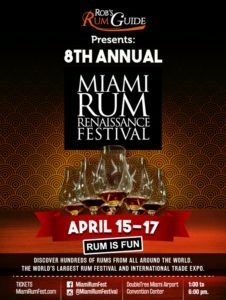 Lodging: Rooms at the DoubleTree are sold out, but the rum festival has several partner hotels on Miami Beach offering preferred rates. There are also many hotels closer to the convention center on the south side of Miami International Airport. This entry was posted in Cocktail reviews, Cocktails, Cocktails, Events, Events, Mai-Kai, Recipes, Rum, Rum festivals, South Florida and tagged cachaça, cocktails, Fort Lauderdale, Kern Mattei, Koloa rum, Lost Spirits rum, Mai-Kai, Martin Cate, Miami Rum Renaissance Festival, Molokai bar, Pia Dahlquist, Pineapple syrup, Plantation Rum, recipe, Robert Burr, Robert Burr's Rum Guide, Robin Burr, rum, RumXP, Santeria Rum, Santero’s Elixir, South Florida. Bookmark the permalink.